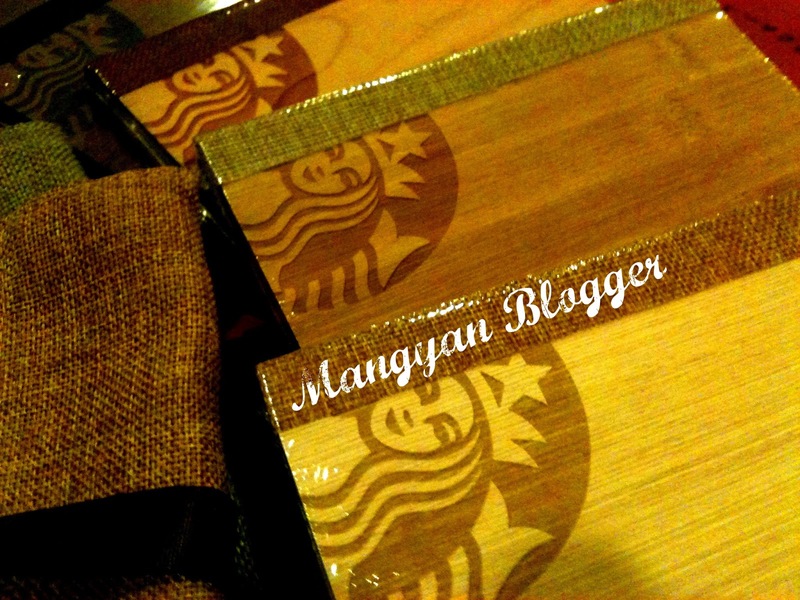 The most awaited "Limited Edition Starbucks Coffee Philippines Planner 2012" is finally here! 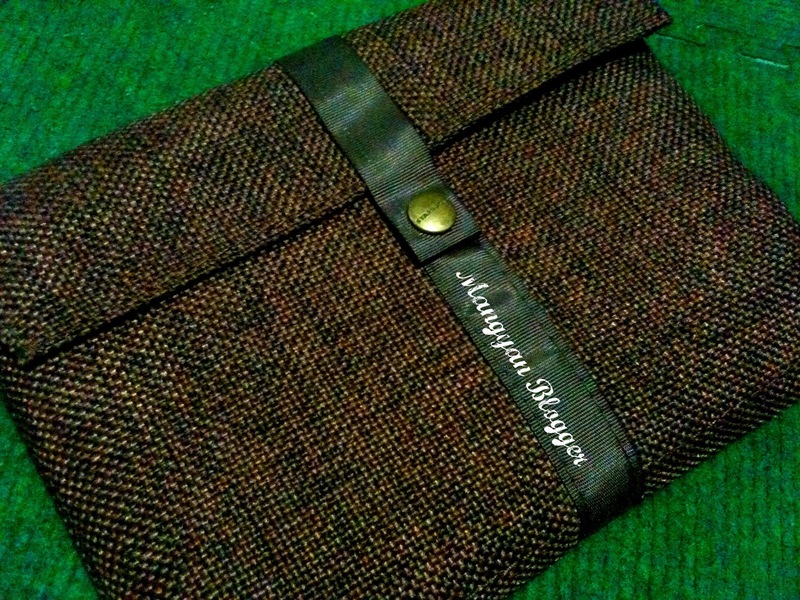 Finally, the 2012 Starbucks Planner is finally here! You know the countdown to Christmas in Manila has begun when the Limited Edition Starbucks Coffee Philippines Planner starts their promo. This is about the time customers start asking for our annual holiday offerings. This will be the 9th year that Starbucks will be having this planner and this is the 1st time that the planner will be available in five (5) unique covers. Starbucks will be releasing five (5) unique covers this 2012 that will follow “Starbucks Shared Planet” theme. This year's designs includes Poplar, Bamboo, Cherry, Spruce and Oak. The Starbucks 2012 Planner will also have the new logo of Starbucks that uses Trotec Laser to emboss or print the image clearly. 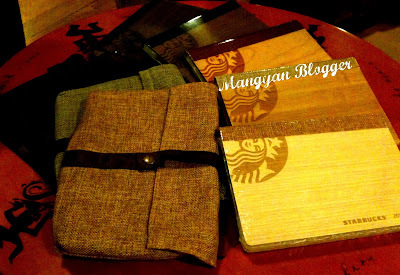 Each planner comes with a pouch, a bookmark and nine different coupons that can be redeemed at all Starbucks stores in the Philippines in 2012. Starting November 3, you can avail the Starbucks Christmas traditions planner promo card and collect stickers from that date to January 8, 2012. This year, every customer has two (2) options in collecting stickers to redeem one (1) Limited Edition Starbucks Coffee Philippines Planner. First option is to get nine (9) Christmas beverages plus eight (8) core beverages (except bottled drinks) that is equal to 17 stickers; and the second option is to get twenty three (23) core beverages (except bottle drinks) that is equal to 23 stickers. 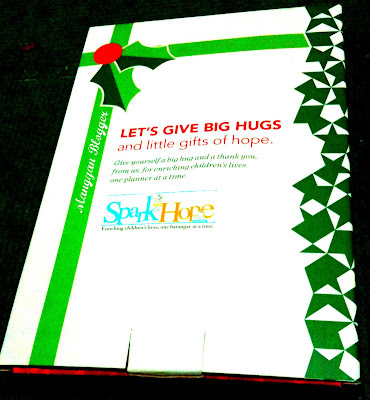 Christmas has never been the same with Starbucks doing its part to give back to the community. 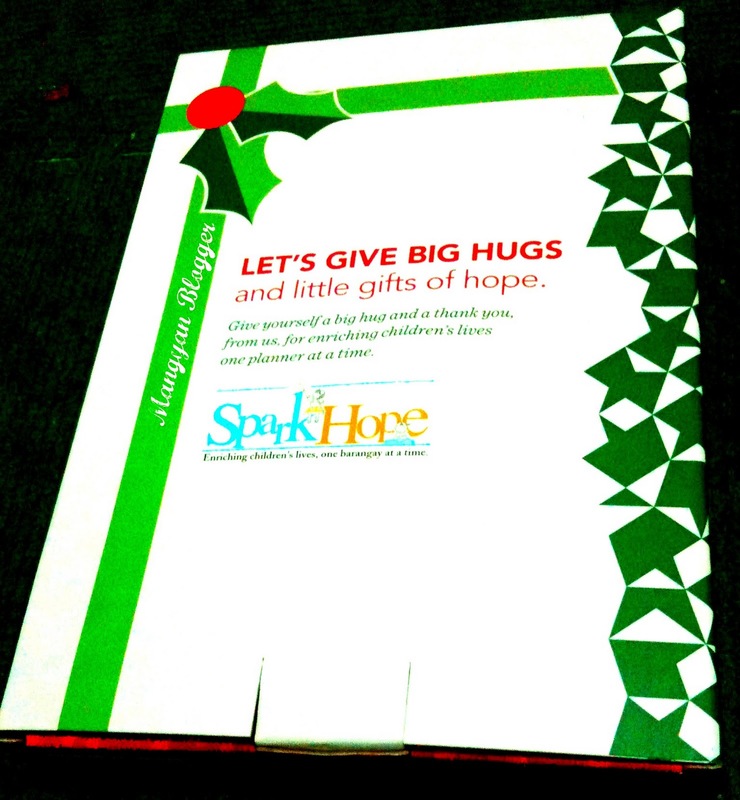 Like every year, every redemption comes with a donation to the SparkHope. This is Starbucks' flagship program for early childhood care and development in partnership with UNICEF. Christmas at Starbucks will never be complete without the Limited Edition Starbucks Planner 2012. This will surely be hit especially to those who collects the Limited Edition Starbucks Coffee Philippines Planner every year! Complete the stickers starting November 3! I still have my last year's planner..
All dusty and blank.. lol!! okay, now i know that i must prepare these coming days. my office-mates always asking me to give them stickers. in some point it is expensive for me but in return i tell them "ito na ang regalo ko sa iyo ha, saka akin na lang ang paper bag." hehehe! sana or baka this year i'll have my starbucks planner 2012. wish! tarbucks planners has typos, no jan, april and july 18-20 dates...will these be replaced?